Derrick Davis of the IT staffing firm, Informatic Concepts discusses how he’s landed large corporate contracts and gives must-know advice on how small business owners can win and maintain relationships with the big dogs. Joseph: Hey listeners, thanks for tuning into the B2U Podcast presented by cbrbiz.com. Our goal is to bring business resources directly to you. I’m your host, Joseph, and I’m really excited about today’s episode because I love to hear how a small business lands a major contract with a major company. Our guest today is Derek Davis of Informatic Concepts, a staffing firm that developed the Pulse Initiative, which is a healthcare informatics workforce supplier diversity initiative. Derek: I’m Derek Davis, grew up in Charlotte, been here all my life, went away to school, went to St. Augustine’s University in Raleigh, North Carolina, moved back to Charlotte and throughout my career I’ve worked in sales and I’ve worked in staffing. And in 2012, the opportunity came about to start a company of staffing. Joseph: Okay, so Informatics is a healthcare staffing firm. What made you jump into that arena? Derek: Well, in 2011, I got laid off from pharmaceutical sales and a friend of ours told us about an opportunity to become a trainer with doctors and nurses in healthcare informatics. So my business partner and I, we jumped on the opportunity, became trainers, did that for a year. And within that time, we would get inundated with calls from bigger staffing firms for jobs that we were under-qualified for. So, having that entrepreneur mindset, the light bulb went off, let’s start a staffing company in technology but let’s focus on healthcare informatics. And the rest was history. Joseph: So, we were talking a little bit before we started recording. You said that you started off with training people to actually train the doctors and nurses and then you transitioned to staffing these actual roles. Derek: Yes. When we started the business, I had a conversation with someone in procurement and I asked what the needs were. And he told me that they were having a hard time finding trainers for the electronic medical records. So, what I did, I found an open source curriculum, we pared it down and we trained IT majors from HBCUs in healthcare informatics and then we put them to work. Joseph: So, being in that staffing realm, I’m sure you met with a bunch of different hospitals and things of that nature, but how do you wind up landing a large client like Novant Health? Derek: Simply, we listened to their needs. Staffing, there are a lot of staffing companies in the industry, but what makes us different is we really try to listen to the customer needs and see what they want. So in that case, when I met with him, he said, “Look, we’re having a hard time finding talent in healthcare informatics.” So with that information, we took it back to the office and we said, how can we fix that pain point? And we did so by developing the Pulse Initiative. Joseph: Okay. So it can’t be that easy that you just called Novant one time and they picked up your phone call. Derek: No, it isn’t. A matter of fact, my business partner found the procurement officer’s name in Pride Magazine and I called him once a week for the whole summer. And that fall, I got him on the phone. And when I got him on the phone, instead of just telling him what we can do, I asked what they needed. I think that was the biggest difference. Joseph: So, persistence is a big thing for you to be able to land a major contract. Derek: Yes, and also, instead, when you get that call, it’s kind of like the JFK quote, “Ask not what your country can do for you, ask what you can do for your country.” Ask what you can do for your client. And that’s the deal breaker because so many times as business owners, we know our business from what we can offer, but that may not be what the customer needs and you may shoot yourself in the foot early on. But if you slow down and you ask the right questions, you can formulate your offerings that way and that’s where you get your business. Joseph: Makes sense. Now, working for a large corporation like Novant Health as being a staffing supplier, do you need any sort of certifications or anything like that, that maybe other small business owners may need to look into? Derek: Nothing stood out. 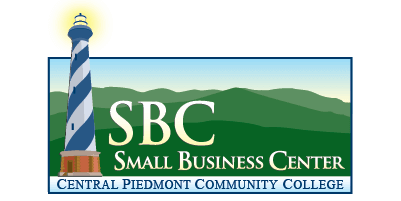 We are minority company, so we are a certified minority company through the Carolinas-Virginia Minority Supplier Development Council. And what they do, they act as a liaison between minority businesses and corporations. And it was a great opportunity with that particular organization because they gave us the resources and the know how to do business. A lot of times, again, you really know your business from that particular standpoint, but when you can take a step back and work on your business and not necessarily in it, it makes you a much stronger business owner. Joseph: So, how long has the Pulse Initiative been going on? Derek: Well, the Pulse Initiative never really took off, but what we did because of that, we were able to engage Novant for a year, and at the end of the year, we ended up becoming a preferred vendor on their list. And we’ve been staffing with them since. And because of that, we’ve been able to evolve and open different verticals. So not only we went from doing healthcare informatics to traditional IT roles, roles in finance, and roles in customer service. So because of our relationship and the business that we’ve done with Novant, we’ve gotten to really grow and blossom as a company. Joseph: Now, has the relationship with Novant help you reach out to other healthcare systems? Derek: Yes. When we started the company, nobody wanted to meet with us. We were brand new to the market. We didn’t have the credibility. So once they knew were doing business, great business with Novant, it gave us our credibility if you will. And another great thing that happened with Novant is not only were we a vendor, they helped us evolve. There’s a school, with, it’s called Tuck, and it’s with Dartmouth. And it’s a weeklong curriculum where entrepreneurs and business owners can go and really learn the business. And it gave me another insight about our business so that it made us even stronger business owners. So not only did Novant give us our opportunity to staff, they’re giving us the tools needed to stay in business. Joseph: Makes sense. Now, obviously, it took the work to actually land this contract. What is it like to maintain that relationship with a large company like Novant? Derek: We always check in with our customer. You never want a problem to be a surprise. We have quarterly meetings, in that way we’re always abreast on what their expectations are and how we’re meeting them, so there are no surprises. Joseph: So clearly, getting a major contract like Novant is a big deal. But what advice would you give to another small business owner to actually land a contract like Novant? Derek: To know your business and know your audience. When we first started, we really just knew our business from the end user’s perspective. But, when you’re dealing with large corporations, there are steps to it. You need to have a relationship with someone in procurement. That’s one conversation. That’s about your capabilities. That’s about being comfortable with the payment terms, having the correct insurance, things of that nature. Now, when you’re dealing with someone in the C-suite, those are the people who give you the direction of the company, the overall vision of the company, and those are good relationships because sometimes you need a little help from high up. Then, knowing your end users, those are the people you interact with on a day-to-day basis who give you the business. So you need to know what conversation to have when each entity. Joseph: So Derek, if our listeners are interested in learning more, how could they get in contact with you or Informatic Concepts? Derek: I can be reached at info@informaticconcepts.com. Joseph: Thanks, Derek. Anything else you’d like to add? Derek: Yes. Thanks for having me and I’ve really enjoyed our talk. I just wanted to add that Charlotte is a fertile ground for entrepreneurs. Think about it. We have great airports, we have a great education system, and we have a really steady and great cost of living. All three ingredients make for a great, ripe ground to start a business. Joseph: Sounds great. Well, thanks, Derek. It’s been great talking to you today and thank you so much for all the advice that you gave our listeners. If you guys have any questions about today’s podcast, feel free to tweet us @CBRbiz. That’s all for us today. Thanks for tuning in on this episode of B2UPodcast, presented by CBRBiz. Until the next time, we mean business. Do you have a topic you’d like to hear us cover on our #B2UPodcast? Tweet us @CBRBiz!